Lillie Adelia Jameson; married Byron Murson. 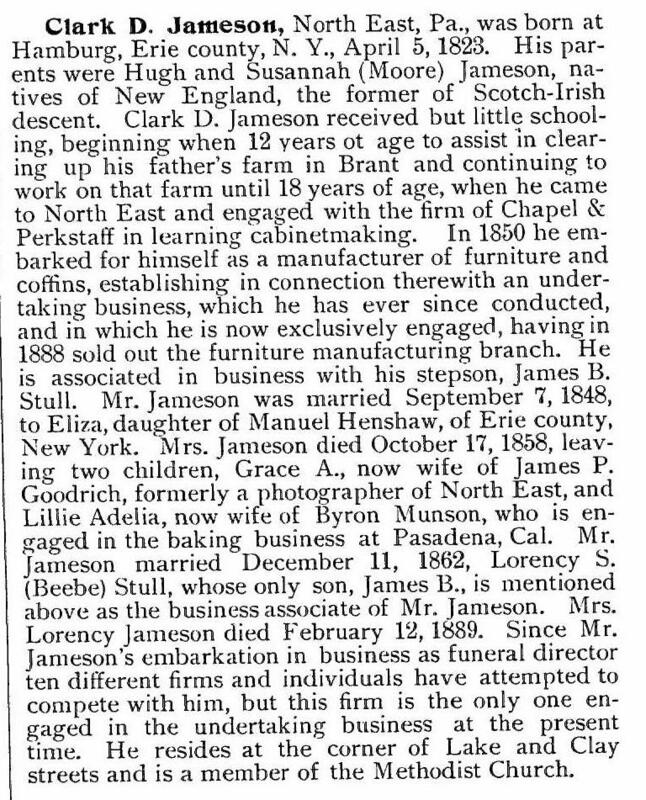 Clark was a cabinet-maker, dealer in furniture, and undertaker.3,4 (see biographical sketch below). 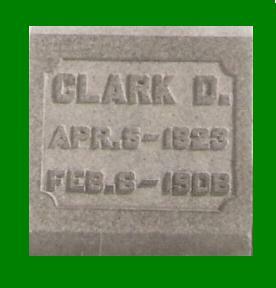 Clark D. Jameson, age 27, born in New York; cabinet maker. 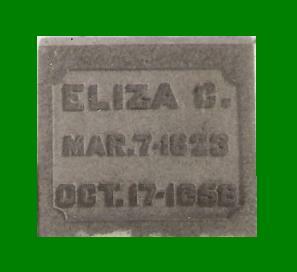 Eliza Jameson, age 27, born in New York. Grace Jameson, age 1 month, born in Pennsylvania. Helen G. Henshaw, age 11, born in New York. 1850 census, North East, Erie County, Pennsylvania; roll M432-777, page 113B, line #33, dwelling #62, family #65. "Nelson's biographical dictionary and historical reference book of Erie County, Pennsylvania"; http://www.ancestry.com.